Blechexpo exhibits the entire spectrum of thermal and mechanical sheet metal, pipe and profile processing. The concurrently held Schweisstec trade fair deals with related technologies and processes covering all aspects of welding, joining and fastening. With increasing participation of manufacturers and distributors from a great variety of countries, the competence duo will receive high ratings from the expert visitors once again from the 5th through the 8th of November, 2019. High-end sheet metal processing has long since become a global issue. This is demonstrated by the fact that not only market leaders from European countries such as Italy, Spain, the Netherlands, Switzerland and Turkey have registered to participate at Blechexpo and Schweisstec 2019: leading companies from Asia, above all from China, have decided in favour of exhibiting at the trade fair too. Already today, the proportion of international exhibitors has risen from 32% to 41% as compared with 2017 (an increase of nearly 10%). “The final number of exhibitors from China and Spain in 2017 has already been exceeded. The number of exhibitors from some countries has even been doubled”, exclaims project manager Georg Knauer. 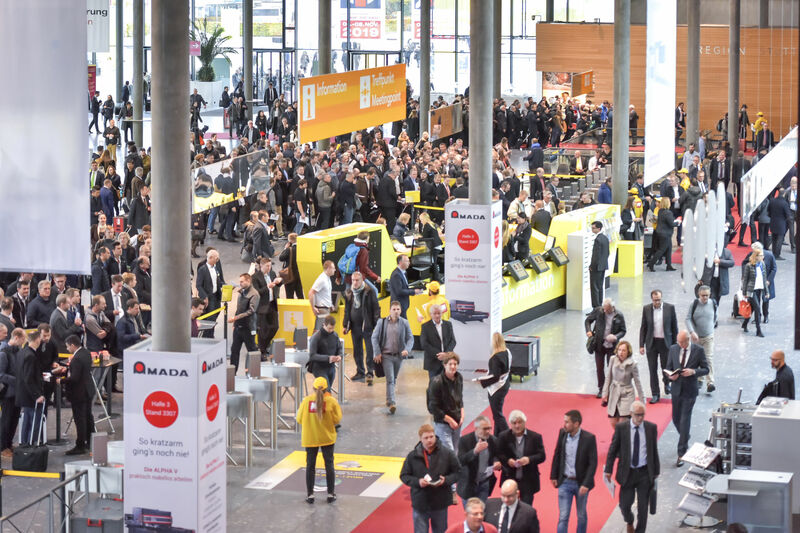 All involved companies will profit from the trade fair’s international setting in 2019, because it’s only possible to gain truly comprehensive insights into the respective sales markets and their supply chains at a world-class technical event. “We feel that our concept targeted at strict process orientation is being confirmed by the international influx of leading companies. Demonstrating the practicality and applicability of the exhibited technologies for routine industrial use at a technical trade fair is obviously being very well received throughout Europe, as well as in the USA and in China.” New floor plan and exhibitor distribution concepts are providing for an even more realistic and practical orientation towards routine daily practice. They guide and bundle the flow of visitors in a thematic fashion. Expert visitors are guided to the offerings in which they’re explicitly interested in a targeted manner with minimal legwork. Whereas leading sheet-metal processing companies will unveil their innovations in halls one and three and emphasis will be placed on the issue of stamping technology in halls four and five, the latest technologies covering all aspects of pressing and forming will be presented in hall eight of the Stuttgart Exhibition Centre. Visitors with an interest in cutting (hall five) or welding and joining (hall seven) will also be able to explore concentrated offerings and, if interested, move on to other segments with minimal legwork. The new, comparatively larger hall 10 now also offers adequate space for expanding offerings in the field of steel processing services. Numerous new exhibitors are taking advantage of this opportunity to introduce themselves to global expert visitors, and established, longstanding participants will be able to increase their booth floor space as well. A longstanding wish of the exhibitors and the exhibitor advisory committee will thus fulfilled.